Before this entry begins, please check out the Thomas L. Hartwell Photography website. The site has had a complete overhaul, with more to come soon, so keep checking back. Thanks Gordon, for all your good work. So, in September, Betsy and I journeyed up the Maine coast a couple of times. The first to Bar Harbor, and the second to Boothbay Harbor. Mostly goofing off, making photographs, checking out the art scene, and undertaking that never ending search to find galleries that will hang my work. Some good, some not so good, but that's always the way. We did meet a couple of interesting characters in Boothbay. 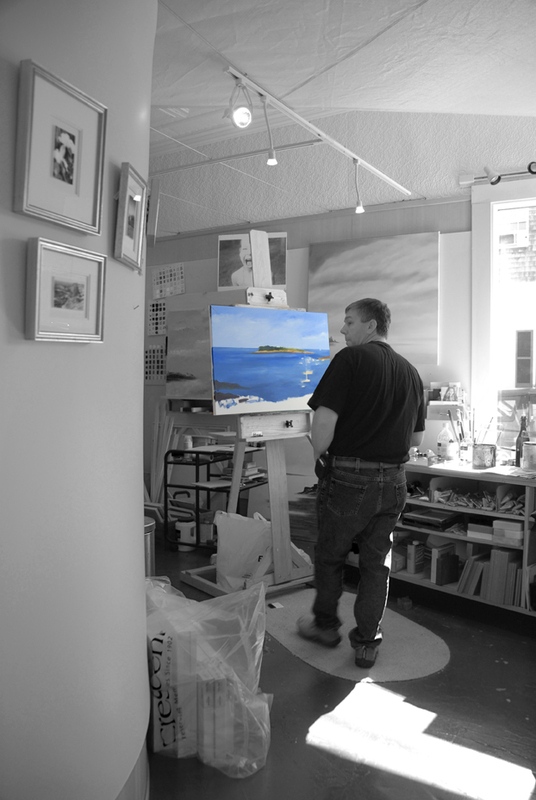 The first was a talented artist, Allen David who owns and operates the Allen David Gallery. Here's a pic of Allen hard at work. 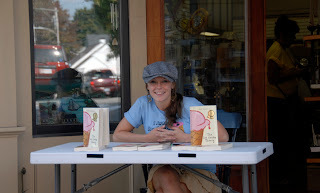 Then we met Steff Deschenes, a self described ice cream freak, and author of a great book titled the Ice Cream Theory, a very funny and insightful read. Buy the book, it's worth it. Go to http://www.theicecreamtheory.com/ for more info. 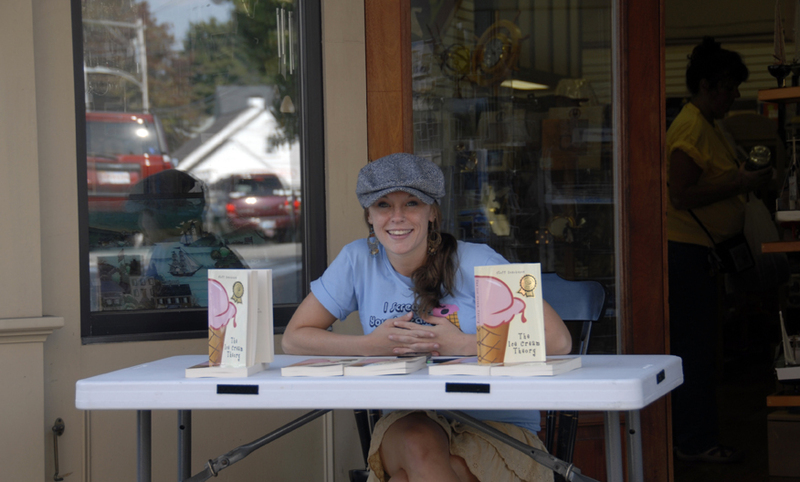 Here's a pic of Steff, hawking her book in front of Sherman's book store. We scouted out a couple of galleries that might like my work and i may like them, we'll see.